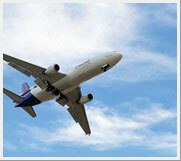 We offer ocean/air/land services to and from any destination in the world. 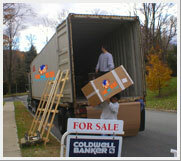 Global partnerships to handle any and all you’re moving needs. We offer third party dismantling, disassembling. 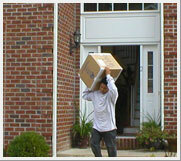 Only EAST meets WEST can offer you systematic, worldwide quality moves. Through our own global standard, you will receive the highest level of service anywhere in the world. Click on the menu at the left for a brief description of the services we provide. 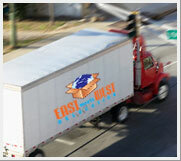 East meets west offices provide the finest quality origin services for all consignments by road, sea or air. Origin services include: relocation counseling, the initial survey, a written proposal, full export packing at residence, preparation of a packing inventory, collection, storage if required, route planning, documentation, container loading, transport and hand over to the EAST meets WEST office or partner at destination. Our packing crews use only the finest quality environmentally friendly materials and are thoroughly trained in the latest techniques to ensure the safety of all of your household goods. 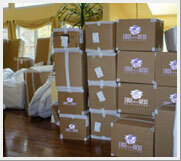 The crew will also provide specialized packing materials. These can include materials for fine china or delicate antiques and works of art, and electrical and computer equipment. Professional carpenters will provide tailor-made creates for very fragile and highly valued items. EAST meets WEST will also organize comprehensive insurance for all items in transit, on request. At destination EAST meets WEST will handle everything for you. With a vast network of professional partners worldwide, EAST meets WEST maintains control of the entire move from door to door. The destination service includes: collection from the port/airport, customs clearance, storage if required, delivery to your new home, unpacking, setting up, assembly and the removal of used packing materials. EAST meets WEST's staff will also be on hand to help with an insurance claim if you have one..
EAST meets WEST will move your personal and household effects by road whenever this is the most appropriate mode of transport. Most road moves are transported as full loads direct from door-to-door. EAST meets WEST can arrange for the packing crew to travel with the vehicle through to destination to provide total continuity of service, if required. EAST meets WEST has domestic contracts with the largest van lines in the U.S. market and because of our purchasing power we are able to offer a superb discount structure that we pass on to you as our client. EAST MEETS WEST has contracts with many of the world's leading shipping lines to provide a fast, dependable service worldwide. Shipping to most destinations is by 20 ft. or 40 ft. containers and transit times vary depending on the distance and the frequency of service. Containers are loaded and sealed at residence and are not opened again until they arrive for customs inspection at destination. 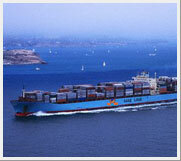 Sea transport is most appropriate for large consignments that are non-urgent. Sea transport is usually used for the main consignment with a smaller, urgent consignment traveling ahead by air. EAST meets WEST has the ability to organize air transport for urgent household and personal effects to any destination worldwide. The service includes: packing for air freight, transportation to the airport, customs formalities, documentation, freight, customs clearance at destination and delivery to residence. 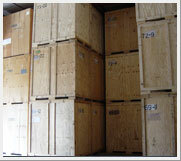 Air freight is usually used for urgent consignments traveling ahead of the main sea shipment. It may, however, be appropriate for large consignments traveling to destinations that are not well serviced by sea ports such as the central USA, Russia and China. Transit times for airfreight vary depending on the destination. When you arrive at a new home in a new country, there is always so much to do. One way to reduce the strain is to let EAST meets WEST help you by providing a local handyman to help with setting up. The handyman speaks the local language and knows the local area so he can help you to get things done quickly and easily. Tasks may include, for example, hanging pictures and mirrors, laying carpets and installing appliances. If you require additional services, such as telecommunications, plumbers or garage mechanics, they will know the best place to go. Transporting pets can cause much anxiety for both people and the animals. EAST meets WEST aims to reduce those worries by minimizing the stress on animals when traveling to another country. 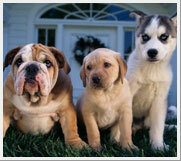 EAST meets WEST will help to organize the paper work, the veterinary inspections and the necessary injections. When shipping day arrives, EAST meets WEST will arrange for your pet to be collected and taken to the airport in good time, but without any unnecessary delay before the plane takes off. EAST meets WEST will also organize a transit case, individually designed for your pet to ensure that it is as comfortable as possible throughout the flight. Storage (Climate controlled) may be required at origin or destination. At origin, goods may be stored while you travel for a short-term contract or while you are awaiting confirmation of your travel arrangements. 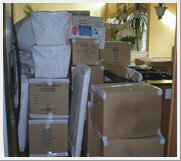 At destination, storage may be needed if your new home is not available or if some items are not required immediately. Storage may be required for long term assignments where it simply is not practical to move all your household goods to the country of your assignment or if your goods may exceed your company's allowances. All of the facilities in use offer secure storage of all household goods, cars, boats, etc. Some also provide special facilities for document storage, high value deposits, antiques, and works of art. EAST meets WEST storage facilities are always the finest available in a particular location and can be relied upon to provide safe-keeping and convenient access for all goods. Use the pictures we sent you similar to the picture on the left- Insert East Meets West on it. 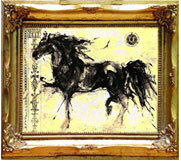 We have been providing specialized transportation services of fine art for over 15 years. East Meets West’s skilled team provides a personalized approach to every transport, garnering the appreciation and trust of clients.